In recent years, the concept of work and how it develops in a physical environment has extended beyond the traditional boardroom and open plan office set-ups. The philosophies behind creating contemporary office design in London has shifted, with an increasing number of businesses desiring more holistic environments that are filled with spaces that can effect behaviours and provide experiences. This is fundamentally what a 'destination workplace' is. It will provide an organisational culture that supports talent and retention, empowers people and creates a positive brand perception; all aspects that create a space that people love to spend time in. The best destination workplaces are able to give employees the opportunity to share their knowledge, to challenge them and to adapt the space to their own working patterns. By giving your employees the best facilities to work with, you will be well on the way to creating that destination workplace that empowers, inspires and challenges your employees to achieve great things for your company, and themselves. Before you think about the makeup and number of meeting rooms, open office spaces, breakout rooms,kitchens, bars, cafes, etc, you will need to pin down what your company culture is. It is this that sets the framework for your office design in London; helping you to understand not just what you need to include but how to include the elements that make for a great destination workplace. If you're looking to reimagine your office interiors,why not get in touch with the expert workplace designers here at Oaktree Interiors? 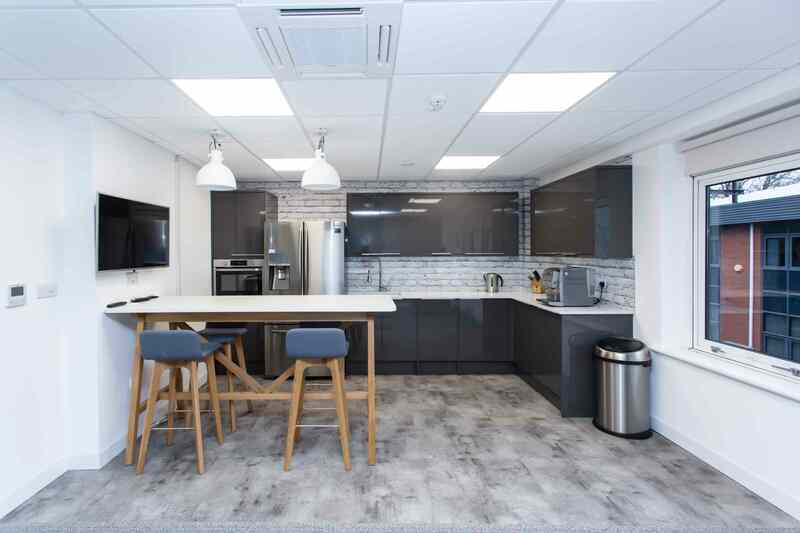 We have worked with a vast range of businesses throughout the UK over the last 30 years; from new start-ups right through to large firms, creating bespoke office interiors that have a profound effect on their in-work experiences. Regardless of your and your employees' particular requirements, we have all of the experience and know howto create a destination that will be enjoyed by everyone. To learn more, give us a call on 0345 21 86955 or send an e-mail sales@oaktreeoffice.com.